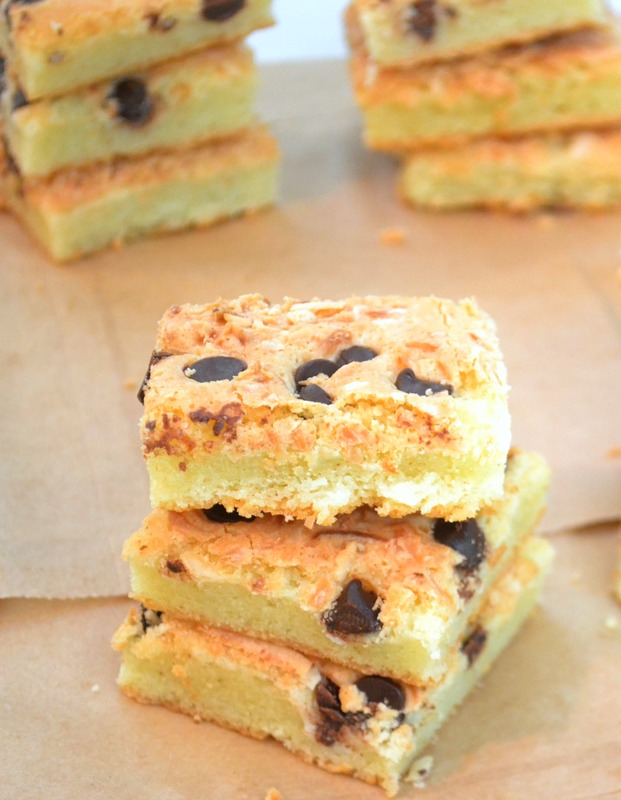 Hawaiian butter mochi made even better with the addition of chocolate chips. Takes the recipe over the top! Have you noticed I have been absent lately? There was a bit of family drama going on and cooking/writing/blogging just didn’t make it to the top of the list of things to do. I am sorry about that. I am back now, mostly because these chocolate chip mochi bars were so good—and I felt the need to share. These are different than the usual treats you see this time of year (fall and holidays) but they are unique and delicious enough to bring to your holiday parties! 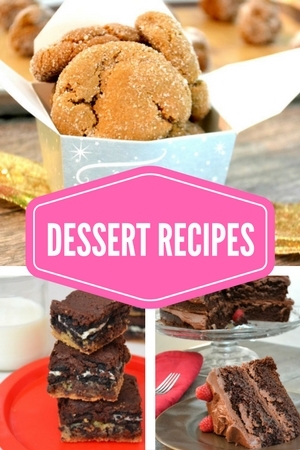 There is only one slightly special ingredient in these sweet treats—mochi flour. Many grocery stores in urban areas will carry this. Otherwise, you may have to check Amazon. Hope you are well and enjoying the holiday festivities. I’ve got lots planned for this website in the new year…..so hope to see you around more! 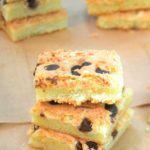 My favorite butter mochi recipe, made better with chocolate chips.